I traveled south this past weekend to visit family in the small town of Scio. My husbands aunt took me on a great tour of the covered bridges of the area, the first of which I will post about tomorrow. 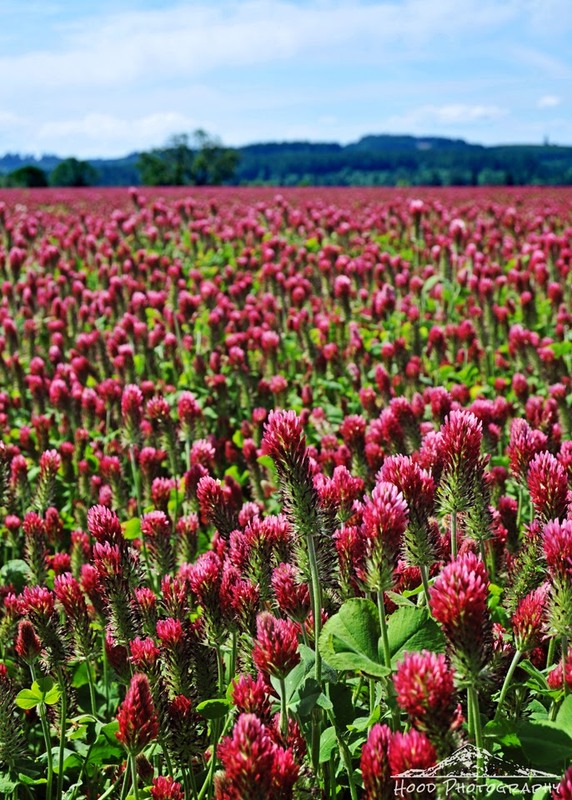 This absolutely stunning crimson clover field appeared as we crested over a hill along our drive in the tiny community of Jordan, Oregon. Gorgeous, vibrant color and what great captures for the day!! Thanks so much for sharing the beauty!! Hope your week is off to a great start!! Enjoy! Stunning!! Boom, Bobbi and Gary. A wonderful photo and perspective. Awesome! Linn County is amazing and so are the many covered bridges there.